From costume advice to trick-and-treating rules, use these tips to make sure you have a fun and safe Halloween with your kids of all ages. 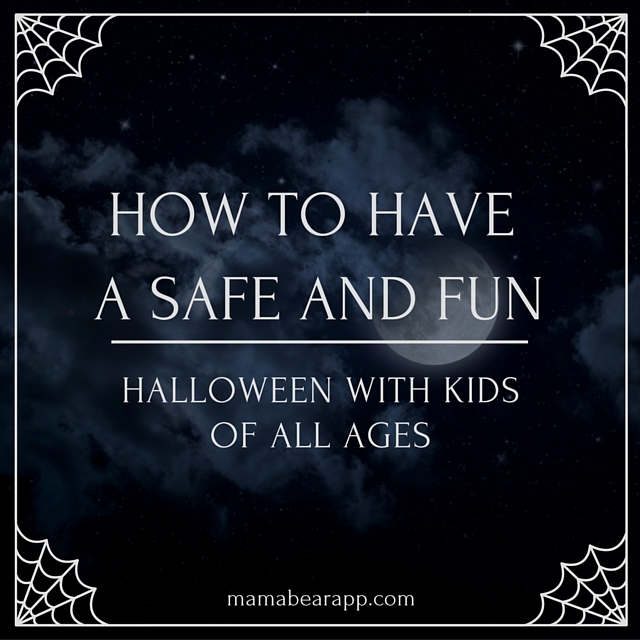 Even small children and toddlers can be a part of Halloween festivities with the right planning. Make sure store-bought costumes have no choking hazards or loose buttons or accessories. Toddlers love to be on their feet even though they are still a little wobbly. To ensure that can safely move around, hem long costumes and capes so children have no loose fabric to step on. Before you put any makeup on your child’s skin (even if it is just a few dots on their cheeks), test the makeup in a small spot to make sure the product doesn’t irritate your child’s skin. Look around for events that specifically state that they are for younger children. Halloween is supposed to be spooky, but you don’t want it to be scary for your kids. Make sure that the events you are attending have specified that the event is friendly for small children. Toddlers will likely want to walk during some of their trick-or-treat experience. But don’t let them walk on their own in dark or crowded areas. Smaller kids may be unable to eat the candy they collect. Let them enjoy the fun of putting candy in their bag, but don’t let them put anything in their mouth until you have inspected and approved it. At this age, kids are a little more independent and will want to experience more Halloween activities. But you should still put rules in place to make sure they have a safe Halloween. On Halloween, kids may come in close contact with decorative candles and flames. So it’s important that their costumes are flame-resistant. Check the labels before you buy any costume or accessory to ensure it is resistant to fire. Kids at this age may still be a little too young to carve their own pumpkins, but they can get involved with the activity another way. Let them scoop out the insides of the pumpkin, and instead of carving designs, let them draw faces on pumpkins with markers. Set candy rules early on. Kids should not eat any of the candy that makes it into their bag until their parents have inspected it. Preteens and teens are still old enough to want to enjoy Halloween, but often want to do it on their own. If your kids are going to celebrate Halloween on their own, make sure they are equipped with tools and knowledge to keep them safe. When kids are trick-or-treating on their own, you want to be extra careful about the visibility of their costume. If your child is in a dark costume, add LED lights or glow stick jewelry to make sure they stand out in the dark. Before your kids walk out the door, lay out a map of their intended trick-or-treat route. Kids this age probably won’t wait to get home to eat a few pieces of candy. So teach them how to inspect their candy on their own. They should only eat candy in commercially-wrapped packages from neighbors that they know. Everything else should wait until you can inspect it. Set check-in times when kids need to update you on their status and location. If your kids are trick-or-treating on their own for the first time, it can be a little nerve-racking to let them go on their own. But with the MamaBear, The Ultimate Parenting App™, you can have added peace of mind. The app, which is free for both iPhones and Androids, can send you an automatic update when your child meets a certain destination. MamaBear doesn’t rely on your child remembering to check in with you, it automatically shows their location on the family map so long as they have it running properly on their phone. With MamaBear you can enjoy a more relaxed evening while your kids have a fun and safe Halloween.